Developer Camouflaj hopes to create a AAA mobile experience, but first, it needs your help. Console and PC fans often criticize iPhone and iPad for not being "true" video game platforms, largely because these devices play host to casual games that simply don't compare to the more fully-featured offerings on big-budget rigs and Xbox 360. It's a common perception, one that developer Camouflaj hopes to change with Republique, a gorgeous looking adventure with graphics that would make even the folks at Chair Entertainment (of Infinity Blade fame) blush. Spearheaded by Metal Gear Solid 4 producer and former Halo 4 director Ryan Payton, this jaw-dropping title casts players as a Big Brother type figure in a 1984-inspired nation where the government sees and monitors all. For whatever reason, a heroine by the name of Hope seeks to escape, and it's your job to make this a reality, watching her via camera and assisting her whenever possible. This means telling her to take cover when enemies appear, opening locked doors and hacking computers. To that end, Payton and his team hope to bring the console experience to iOS, with superior visuals and a user-friendly control scheme specifically designed for touch devices. The project will cost one million bucks and he's secured half the money. The rest must come from Kickstarter. At the moment, 652 backers have donated more than $33,000 with 30 days to go; you can donate here. 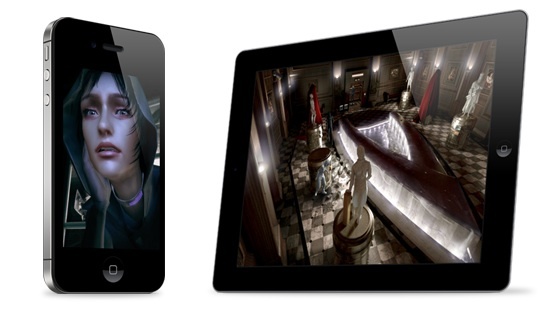 Thus far, Republique appears to have that special something we don't often see in portable games. We'd love to play it sooner than later, so be sure to watch the video on the Kickstarter page and chip in some cash, even if it's a buck. As for Camouflaj, we wish the team the best of luck.